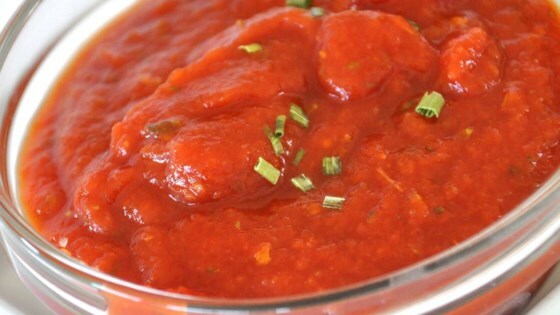 "Quick and easy pizza sauce. No cooking and quick to make." I'm not sure why all the positive reviews, I found this sauce mealy, bland and very "commercial". Definitely not what I was looking for. nice easy sauce. I froze the left over sauce in an ice cube tray, then transfered cubes to zip top freezer bag so I can just defrost as many cubes as I need for the next pizza. Very simple and good. I did add basil to the dish and used fresh minced garlic. I also added 1/2 tsp of sugar per suggestions. This one is a keeper. Quick and easy! My family loved this pizza sauce. I will never buy pizza sauce again. Didn't change any ingrediants. Yummy!